For all your air duct cleaning and maintenance needs, Air Duct Cleaning Daly City is your most trusted and reliable partner. Contact us for all kind of cleaning issues that you need and we will provide you with topnotch servicemen who will clean your air ducts in no time. 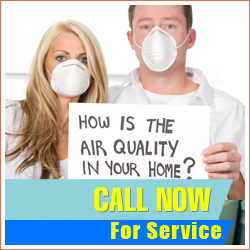 The expertise of the people at Air Duct Cleaning Daly City is a combination of solid training and actual experience that make us the number one provider of air duct cleaning in town. Call us now and let our people take care of your cleaning and maintenance needs for fuss-free and lasting results. Dust, pollen and mold are just some of the contaminants that we remove from the ductwork of HVAC systems. All accumulations inside will be eliminated in little time. This is what our air duct cleaning services are all about. Our company always offers complete solutions. That is why in case of damage, the ductwork is fixed. 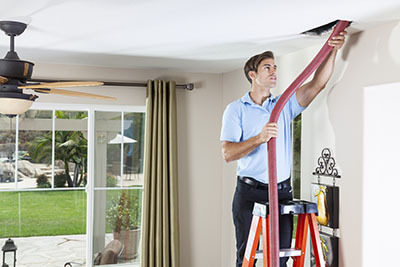 You can count on us for air duct replacement in case the damage is beyond repair. All cleaned surfaces are sanitized to stay protected from contaminants. This is how the quality of the indoor air is improved and the HVAC system starts using less energy. 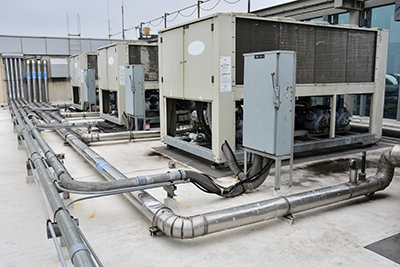 Hire us for condenser unit cleaning to receive equally good results. 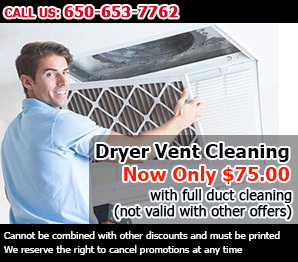 Our team specializes in dryer vent cleaning and repairs as well. Rely on us fully.